Hair grooming has long been a constant and essential part of every man’s daily routine, and with good reason. 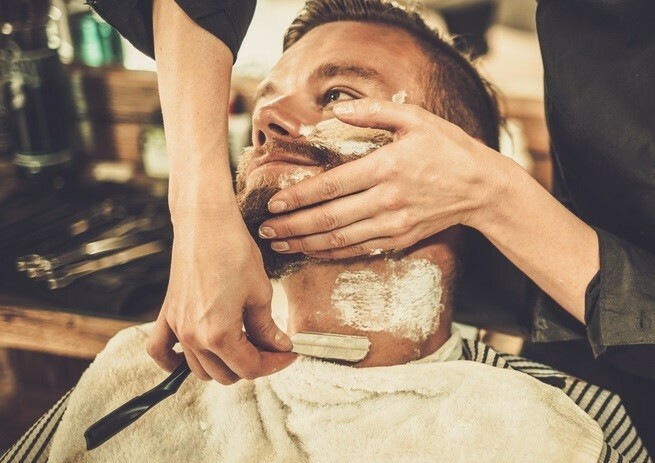 Whether you’re sporting a bushy beard, designer stubble, or completely clean-shaven cheeks, it’s important to appear neat and presentable, especially at the workplace and on formal occasions. Just ask the ladies, if you don’t believe us! Well, turns out that men paying attention to their looks isn’t really a novel or new concept. The idea of shaving and grooming can be traced back to the ancient Egyptians, and even further to prehistoric times. In fact, the first flint razors date back to 30,000 BC. Recognizing the need for men to be able to dictate the style of their facial hair, straight razors were invented and widely sold in the late 1700’s. Being a barber became a reasonably profitable profession, and the humble razor has only evolved since then – from the sharp edge seashells in ancient Egypt, to advanced electronic. 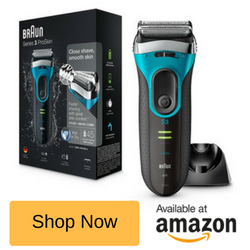 Today, a wide range of razors are available to better your hair cutting experience, such as straight razors, safety razors, cartridge razors, electric razors and disposable razors. Though straight razors became almost obsolete for a while due to the presence of other easier-to-use shaving equipment such as safety razor and electric shavers, they have reemerged, finding acceptance among professional barbers and those who are attracted to the “old-school” appeal of straight razors. 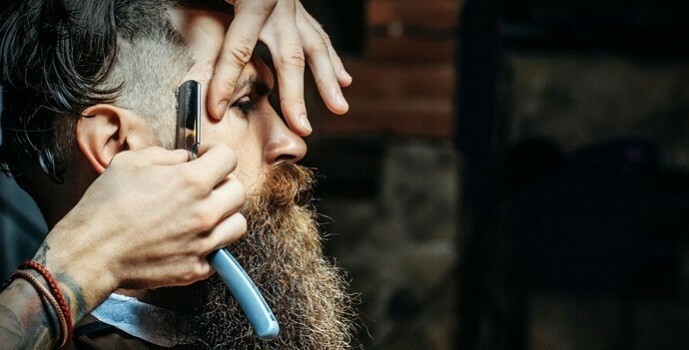 If you’re one of those people who have realized your new-found love for straight razors, you’re reading the right article, because we’re going to tell you everything you need to know about straight razors, including the best buying options. What Are Straight (aka: Cut Throat) Razors? Given their uncommon nature, asking what straight razors are in the first place is a completely justifiable and understandable question. So, before we get to anything else, let’s look at what straight razors are. Straight razors are the forerunners of modern day razors. With a long, straight metal blade attached to a handle (generally wooden), these razors were the only option available to men who decided they didn’t want their whiskers anymore, till Gillette brought out the safety razor in the 1900s. Though they may have somewhat of an antique nature, straight razors can give you one of the closest shaves. However, this doesn’t just happen by magic. A high degree of practice, patience and care is required to get the desired results, as the sharpness of the blade and the difference in grip (as compared to modern razors) can make them hard to use. Straight razors have always been made with high-quality wood and metal. Though this means that you could be shelling out quite a bit for a premium straight razor, they’re well worth it as you’ll never have to replace the blade, provided you treat it with the right care. You don’t have to spend a lot of money on one, there’s some really nice, reliable and good performing straight edge razors that are very affordable, which I’ll get to shortly. Regular cleaning, sharpening, and polishing (also known as “honing and stropping”) will ensure that your blade is in premium condition for its lifetime as well as yours. Another great fact about straight razors is that they result in lesser razor bumps, razor burns and skin irritation compared to come disposable razors. The Type of Blade: The blade is obviously an important part of straight razors. There are three different types of blades, namely “round point”, “square point” and “French point”, named with reference to the shape of the blade’s edge. “Round points” are semicircular without a sharp end, making them ideal for beginners. “Square points” have a straight, sharp end, useful for shaving small areas, but requiring experience and skill. “French points” are a combination of both the previous styles, also known as “oblique point”. Material: Straight razors can be made of stainless or carbon steel. The former is less expensive and lasts longer, while the former is of higher quality. The Style of Your Razor: Straight razors can be modern or vintage. Vintage razors are more expensive due to their antique nature, requiring more care and effort. Modern razors are easier to maintain and often in better condition, so go for vintage razors only if you don’t mind the liability they come with. Blade Width: Smaller blades are easier to shave with and much easier to sharpen and polish (“hone and strop”). Larger blades may not let you shave in smaller areas, but both blade widths don’t affect the closeness of your shave. The Blade’s Temper: “Temper” is what defines the durability of the blade’s sharpness. Blades with hard tempering last longer than softly tempered blades, in terms of sharpening. However, the latter is easier to sharpen. The Blade’s Grind: The “grind” is the blade’s concave indentation. A hollow grind keeps the blade light and sharp, whereas a not-so-hollow grind does the opposite, but is recommended for beginners. Now that you know what to look for while buying a straight razor, we give you three of the best straight edge razors currently available in the market. 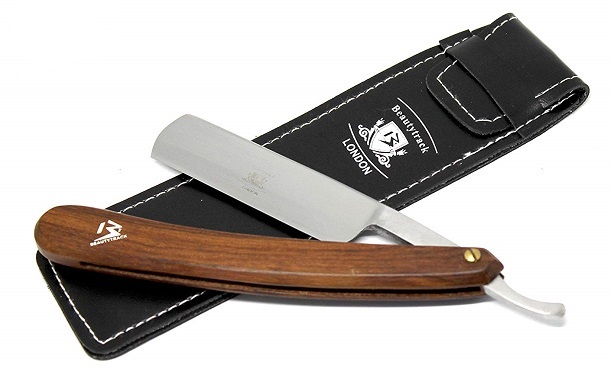 This British handmade, stainless steel beauty is built with an easy-to-open blade guard, allowing for effortless and comfortable usage. Guaranteed to never rust because of the high-quality stainless steel used, the razor has an ergonomic design that provides the right holding angle to avoid discomfort and lessen cutting and nicking and has a “round point” finish that also makes it great for beginners. Even better, this razor allows you the facility of switching blades instead of honing and stropping them, accepting all standard single edge blades or half-inch double edge razor blades. 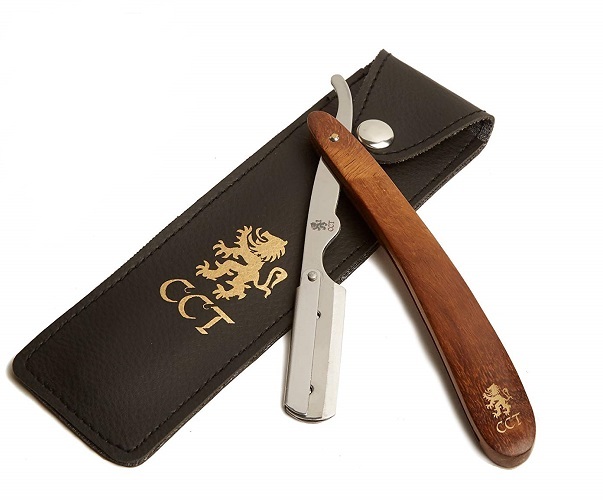 Ensuring a close shave, the product is available in a beautiful natural wood-brown colouring at the 15 pounds mark on Amazon. With a pure rosewood handle and a handmade stainless steel blade, this shaving razor scores high not just in terms of its quality, but also in its appearance! Available in a classy black color, this limited edition straight razor comes with a “square point” and an ergonomic design for easy handling by professionals and amateurs alike. Oh, and we completely dig the stunning wooden storage box with leather strap, quality badger hair shaving brush, and honing paste. This makes for our best straight razor set for 2019! We’ve definitely saved the best for last, and the BeautyTrack vintage shaving kit is nothing but the best! 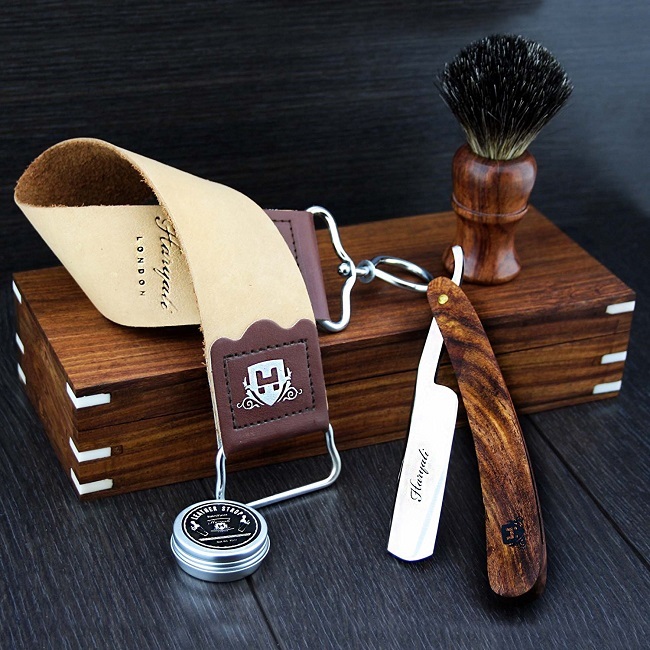 This complete shaving kit comes with a limited edition “French point” Damascus steel and buffalo-horn handle razor in pure black and brown, a free leather strop belt and a free storage case. Oh, and did we mention that all of these are handmade? 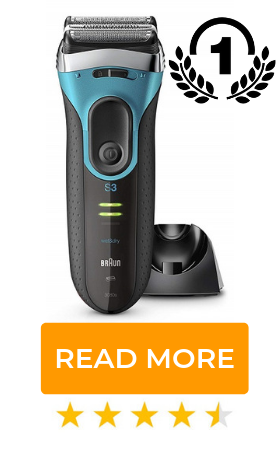 For an amazingly close shave of the good kind, whether personal or professional, this razor is an amazing option, also earning brownie points for the great price of 99.99 pounds it comes at on Amazon. Are There Any Cons to Straight Cut Through Razors? Well, you know how the saying goes. Two sides to a coin and all that. Though straight razors are classy, sophisticated and elegant, they can be a lot of work. Not only do you require practice to use them efficiently (Read “without cutting or nicking yourself”) in the first place, but shaving with straight razors can take more time and care as opposed to simply using disposable or safety razors. Apart from this, though straight razors are for lifetime use, they don’t magically turn out that way. You need to put in the effort and work to a make them last you a lifetime, which means regular cleaning to prevent your blade from rusting, sharpening your blade when it gets blunt and polishing it when it becomes dull, all of which require skill and are of a time-consuming nature. 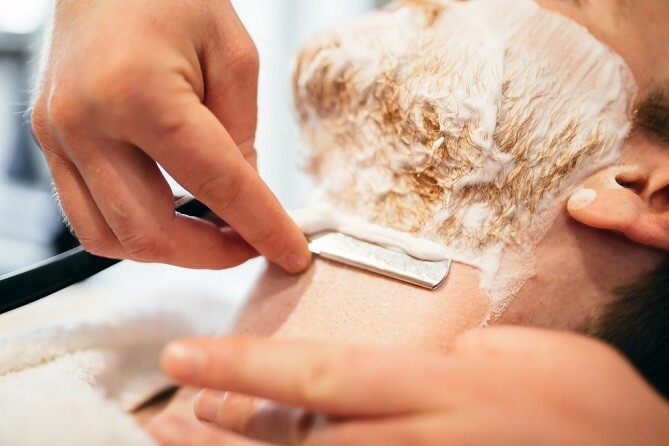 Not only are these practices important to keep up the appearances of your expensive razor, but also to protect your skin as dull and rusting blades could cause infections and rashes. Additionally, most straight razors do not come with a razor hone and strop. This means you may have to shell out a few extra bucks for a good razor hone and strop. Straight Razors: A Great Way to Get the Best Shave! Though straight razors may initially be problematic to use, these problems are nothing that can’t be overcome with a little practice and a bit of patience. Also, if you’re someone who loves feeling “macho”, it doesn’t get better than these blades, nicknamed “cutthroat razors” for their bared badass sharpness and efficiency. Thus, if you’re someone with a penchant for the old school and have always found long grooming sessions to be therapeutic and satisfying, straight razors are the way to go, especially the The Cambridge Cut Throat and BeautyTrack razors. Make the right decision by buying one of these babies and we promise you won’t regret it.